We are pretty psyched about our latest issue of The Journal. In Issue Four we move away from the traditional realms of painting and sculpture to explore new media: photography, digital, moving image, sound. 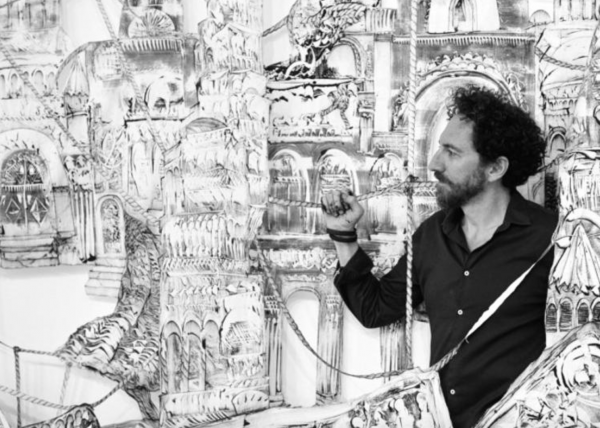 Artists today are using so many exciting materials in ever new and innovative ways – what are contemporary Syrian artists up to, what are they using and why? We dive deep into this via a fantastic essay by Mohammad Omran. 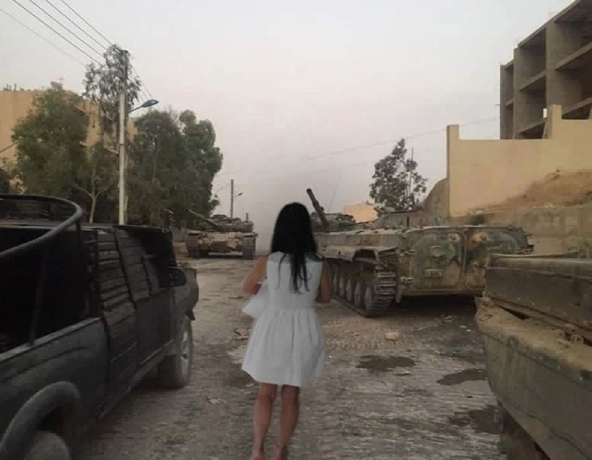 In ‘Postmodernism and its Affect on the Plastic Arts in Syria’ he examines when and how new media and conceptual art began to gain popularity in Syria, and shares the artists you need to know about. There’s loads more – from a special new feature we’ve called Gallery, highlighting key works from an artist’s career (this issue it’s the insightful Buthayna Ali, whose work, with its gritty and immersive quality, examines social and cultural conventions). 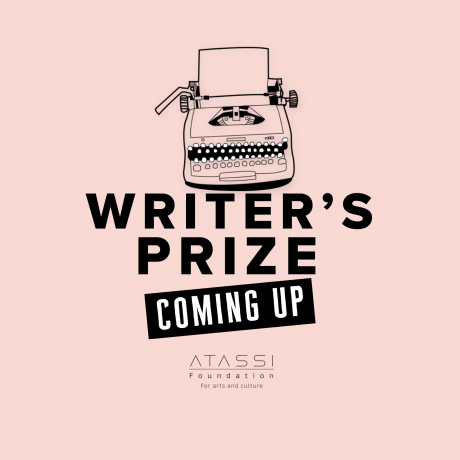 We also interview Vienna-based Akram Halabi, who brings together the disparate elements of photography and text to create what he refers to as a ‘third concept’ and, last but not least, we are also extremely excited to announce The Atassi Foundation Writer’s Prize! Check out all the details, including how to enter, on our website. We are full steam ahead with our major new exhibition - Personal Revolutions, which brings together an all-female curatorial and production team to produce a survey of groundbreaking female artists from Syria. What were the struggles and achievements of women practicing art in the early 20th century in Syria, and who are today’s most pioneering and daring names? Curated by Mouna Atassi, the show features multiple different media and explores themes ranging from home and hearth to explorations of identity, political strife, the female body and taboo, displacement, and personal growth. In case you missed our exhibition! 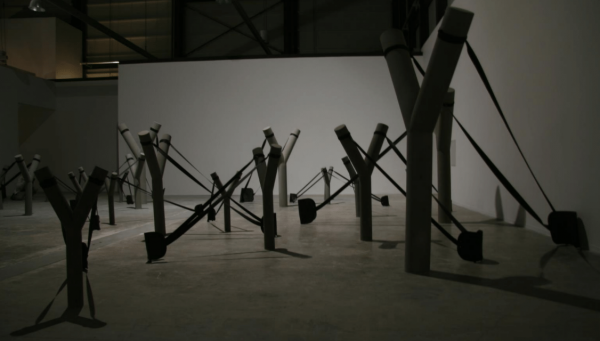 Working across diverse traditional and new media – from painting to video, installation and sound – Akram Al-Halabi is fascinated by the idea of how two seemingly disparate elements can come together to create a new, third one. Whether combining photographic images with text and typography, or bringing together different works into one space, Al-Halabi explores how different material and thematic combinations spark new configurations and concepts. 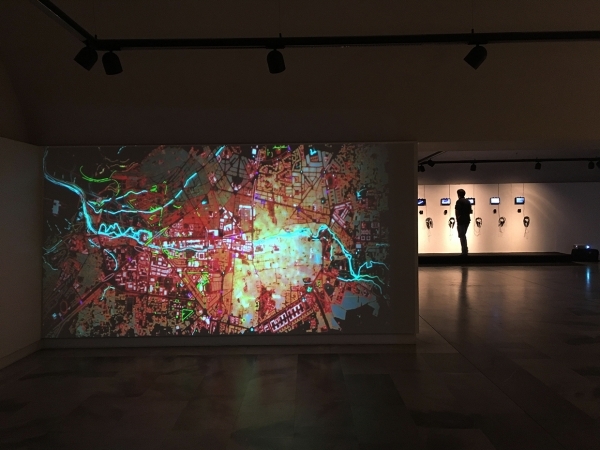 Complex and intellectually-challenging, the works of Buthayna Ali, be they sculptural, multimedia or installation, explore our place in the world, and the far-reaching effects of conflict, memory, history and movement.